In our increasingly digital world, live performance still manages to bring us together, away from the keyboard, for a period of time, however brief. 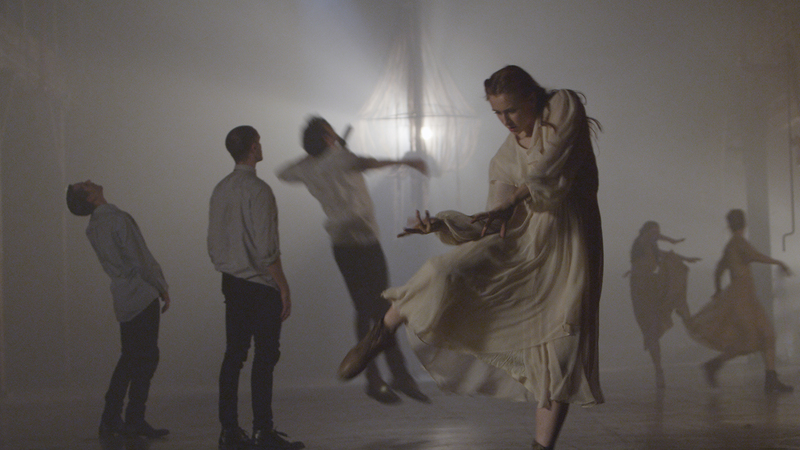 Attending a performance is a kind of ritualistic act, which I have been thinking about since witnessing DEBUT, a new performance work by choreographer Emily Terndrup and filmmaker Derrick Belcham. This immersive (a true buzzword of post-internet art consumption) production, with an accomplished cast of dancers and musicians, took place at the Knockdown Center, an industrial mecca in Maspeth, Queens. 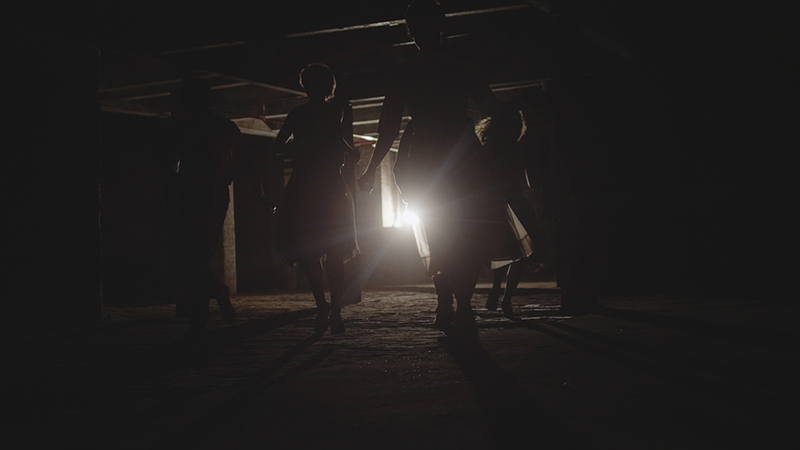 The work depicts a group of students who break into an abandoned building on the night of their prom, the penultimate ritual of high school existence. 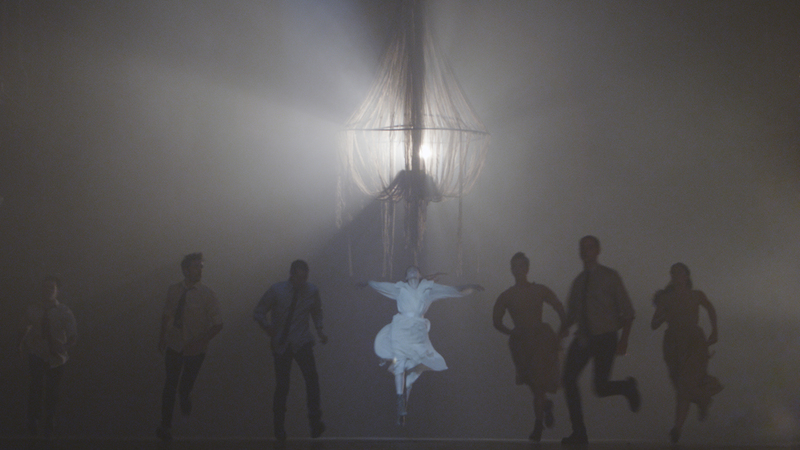 The dancers’ shared choreography was another manifestation of ritual, movement that seemed to explode from within them against the work’s booming original music, written and played by Julianna Barwick, Mauro Remiddi, Ruby Kato Attwood, John Ancheta, David Moore, Jessie Stein, Hannah Epperson, and Reed Smidebush. 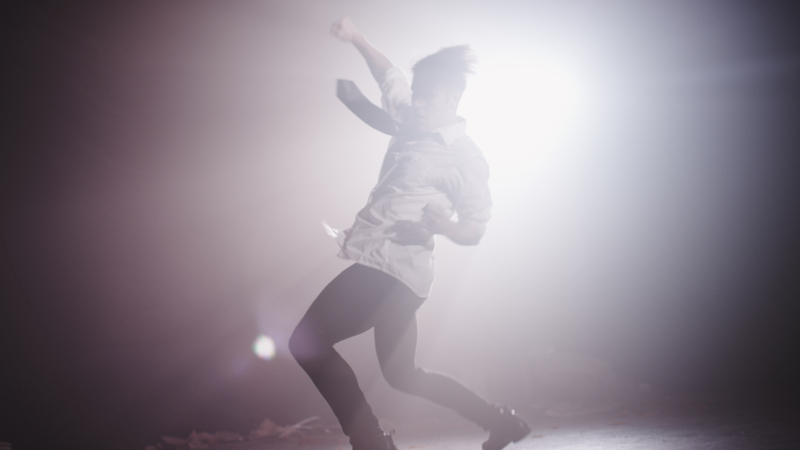 The male and female dancers were at odds during the opening section of their post-prom adventure, weaving in and out of Knockdown’s concrete expanse with bounding energy. The women stomped around in combat boots and flowing dresses with lucid fluidity, like some renegade ballerinas. The men were more exacting, slicing across the space with boyish exuberance. Incorporated into this choreography were other rituals of adolescent rebellion: trespassing on private property, taking a swig of alcohol, dealing with the looming threat of peer pressure. Lighting, designed by Belcham, played an essential role in moving the audience from site to site, as many vignettes unfolded simultaneously. I was immersed in many ways — physically as well as emotionally, continuously recycling my own nostalgia. This may be why I found the female performances to be the most potent and inspired. These women presented portraits that were flawed and, by virtue of that, compelling to watch despite scenes of turmoil. Emma Judkins performed a solemn, minimal solo in the dingy bathroom that read like a painful, near-suicidal cry for help. It was the show’s most thoroughly explored portrayal of teen angst; she maintained subtlety, even grace, as a young girl navigating what it means to possess a depth of emotion greater than herself. Terndrup also painted a complex portrait of her character. A solo in a small room littered with dried leaves had her toppling from low lunges to unceasing backbends, contorting her way through the reaches of her rebellion. Her frequent separation from the group may have been out of necessity, being both performer and choreographer (assisted by Mallory Rosenthal), but because of it she was the clique’s flawed leader: willing to engage in this chaos but not wanting to endure the consequences of it. At the end of the night, many pieces of the narrative remained disconnected, which is the risk of presenting a performance of this nature. With so many moving parts, each vignette comes into focus just as another fades away. The viewer is left to ponder what’s been laid out in front of her while also wondering what she missed. There was a touching duet between Brendan Duggan and Rebecca Margolick, depicting young love in all its awkward excitement; languid and lithe, their joyful movement worked to ease the unfriendly industrialism of the setting. A series of beautifully shot videos by Terndrup and Belcham poetically referenced the live performance, with images of the dancers frolicking through a pink prom haze or wandering the abandoned site. The separate aspects of the piece worked well on their own (especially the brilliantly visceral score), but they never coalesced into a committed, cohesive statement. Video, music, costumes, and lighting all alluded to a looming storyline without directly expounding it. At the same time, much of the movement would have benefitted from a little more room to breathe; certain sequences felt too structured for the abandon that was supposedly taking place. It seemed as though the performers were often trying to hit a mark or synchronize a piece of choreography, which detracted from the recklessness I longed to see more of. For all of the teenage rebellion at play, Terndrup and Belcham could have rebelled against their own inclinations a little more. DEBUT took place at the Knockdown Center (52-19 Flushing Ave, Maspeth, Queens) on October 7–9.